Arizona Classic Exterminating LLC’s complete range of pest control services includes humane wildlife removal and dead animal removal in Springerville and surrounding regions. Our trained and experienced technicians eliminate any unwanted animal from your residential or commercial location and provide clean-up, decontamination, repair and wildlife relocation services. Have you spotted a family of raccoons on your property in Springerville? Call us for safe and humane emergency wildlife control in Springerville if you encounter a possum, bat, squirrel or any other type of animal that you need to get rid of fast. The Arizona Classic Exterminating LLC approach to wildlife pest control gets rid of unwanted animals safely and allows for natural relocation and transfer of a den or nest far away from your commercial or residential property in Springerville. Our certified technicians are knowledgeable in the life cycles and nesting habits of local wildlife in the region and are trained to identify the habitat patterns of nuisance animals and provide commercial or residential clients you with the necessary recommendations to avoid a recurring problem. Wildlife displacement can lead animals to look for warmth and shelter within the attics, garages and under decks of the homes and businesses in Springerville. Our wildlife removal technicians begin with a thorough inspection of your property and also provide a free detailed estimate of your customized pest control plan. Knowledgeable staff arrive at your property equipped to perform repairs over entry holes and to animal proof all vents, plumbing, pipes and chimneys. Arizona Classic Exterminating LLC wildlife technicians are well trained and extensively experienced in the safe practice of wildlife control and removal that may also include reuniting certain species with their young. 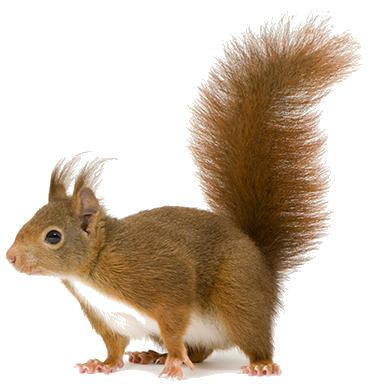 We offer a full range of services for any wildlife problem including the safe removal of bats, skunks, squirrels, possums, mice, hedgehogs, rodents and any other pests. Ask about a free inspection for your urban or rural Springerville location. For the safety and wellbeing of your family and all occupants of any type of commercial location, call us for a free assessment and important safety information about wildlife control in Springerville.